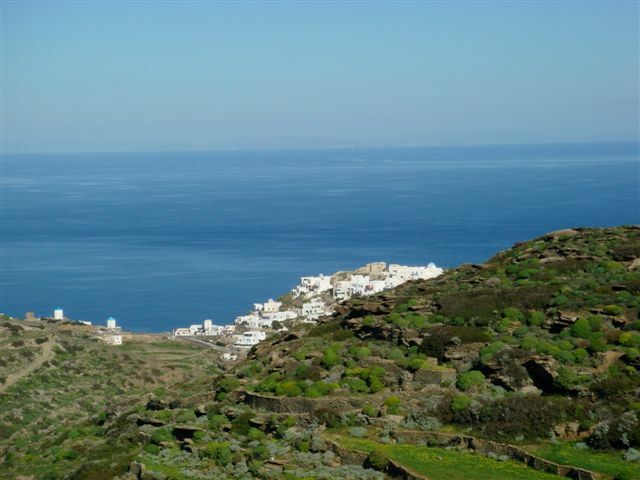 Sifnos is an island for the cognoscenti – a Cycladic beauty with 200 kilometres of heavenly footpaths, mostly ending at the white-washed gate of a small, blue-domed church with a name like “Virgin of the Flowing Water”, and commanding an extraordinary view over sparkling blue sea. The islanders are house-proud, tidy, passionately conservationist, famous for their cooking skills and the quality of their ingredients. Nikos Tselementes, the Greek Gordon Ramsay of the 1890’s , came from here, and his book on Greek cooking is still a household bible. 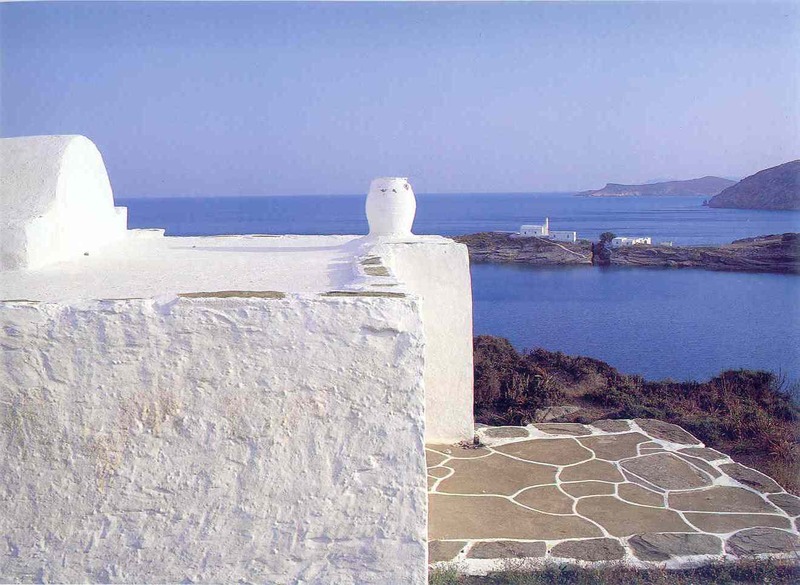 Apart from the slow- tempo foodie atmosphere, a charming hippy dippy vibe with Reiki practitioners and massage and yoga workshops makes this a lovely island to chill out on. 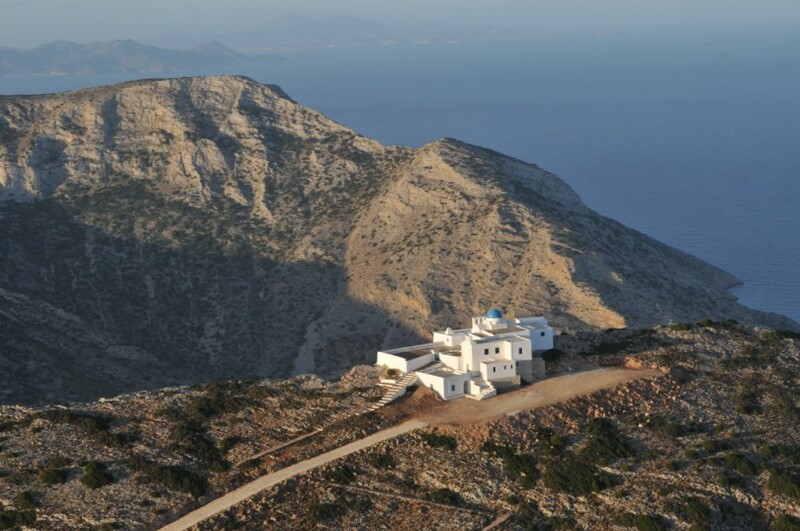 Sifnos 2V is our latest and best new house. It is on a wonderful sandy beach with sheltered waters, has drop dead glamour, high specifcations and a great cook, and the owner offers a complimentary helicopter trip to Santorini for dinner – I am trying to persuade the owner that I need to road-test this part of the deal but she laughs at me as she knows that I know that she knows that anything she does will be perfect. As Donald Rumsfeld said, it is a known known. For when all that abstract thinking about knowns and unknowns, or the walk to the beach through the garden gate beyond the pool just gets too stressful, the owner also offers a complimentary daily massage.